An Ultimate Workout It Combines Strength, Core, Endurance, Cardio, Flexibility and Balance All In One Session. This Full Body Workout Is Done With The Assistance and Resistance Of Weighted Springs, Thus Requiring Constant Engagement Of The Core For The Whole Class. Our Proformer Machine and Workout System Are Completely Unique In Ireland. No One Else Has Our Machines Or Can Offer Our Highly Effective, Intensive & Exclusive Workout System. It Is Unlike Any Other Workout In Ireland. It’s Fun, Intense, Unique and Full Body Conditioning. PPD offers both our exclusive Proformer and innovative Mash Up classes. 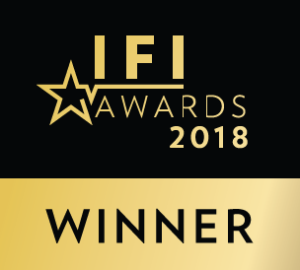 Irish Fitness Industry Awards 2018 – Winner Best Pilates Class. We offer Corporate Wellness Programs. We can tailor programs to suit your needs, budget, employees and goals. As well as running Irelands only LaGree based Pilates studio Emma is a Wellness Coach and can help your employees with their Health, Fitness and Wellness goals. We offer Pilates Classes, Mash Up Classes, Yoga Classes, Health & Wellness Talks, Workshops and Seminars. You tell us your needs and we will listen and help you with them. PPD Also Offers Online Programmes. You Still Experience Our Ultimate Workouts Without Having To Come To The Studio. You Also Gain Access To – *Recipes. *Meal Plans Including Plans From Nutritionists Rosanna Davison & Jodie Wood *Shopping List Advice. *Health & Fitness Tips And Advice. See what class times we have available for our Proformer and Mash Up classes. Book online now for a free first trial class of our unique Proformer Class or book into one of our innovative Mash Up Classes. Make it fit into your schedule! Would you love to try our unique and exclusive fitness system but cannot get to our studio? Then these tutorial classes are exactly what you have been looking for. Pilates Plus makes working out hard a pleasure. It’s been a great way for me to get back into exercise after a few years of neglecting my fitness. I feel strong and rejuvenated after each session. It’s great for all over toning and the excellent instructors can really keep an eye on everyones form due to the small class sizes. I would recommend it to everyone! I’ve been going to regular Pilates Plus Dublin classes for the past few months, and I couldn’t recommend it more. The instructors are knowledgeable and attentive, the studio is bright, spacious and airy, and I absolutely love working out on the Proformer machines. Best of all, I’ve noticed a big increase in my strength, flexibility and overall fitness since I joined PPD. Since starting at PPD over a year ago I can honestly say it has changed my body and outlook on working out tenfold. Classes at PPD are always fun but more importantly the instructors are consistent in making sure you’re doing the exercises correctly as well as tapering them to your level of fitness whilst challenging you. Because of my line of work I found PPD fantastic for toning my muscles without bulking up and I’ve seen a huge improvement in my strength and flexibility. PPD is a perfect combination of a great workout, fun and relaxation that always makes me look forward to my next class! I have been attending the Pilates Plus Dublin Mash Up classes for almost a year and a half now. I find the instructors to be extremely enthusiastic and really push you to be the best that you can be. They have an energetic, positive and knowledgeable presence during every workout. They modify the exercises to meet any challenges and push you further than you ever thought you could go. I now have more strength, flexibility, and energy than I could have imagined. I feel that the classes help to maintain the shape and tone I have achieved (overall I have lost a stone and a half from the classes alone and the toning is unreal). I never tire of the classes as each class is different and works different parts of the body. It always hurts but it’s always worth it. I started Pilates Plus a year ago and can honestly say it has made a massive difference. Not only have I dropped a dress size and toned up considerably, I have improved my wrist and arm strength considerably which has improved my RSI significantly. I feel stronger, healthier and am much leaner. Thank you PPD! Firstly, forget what you think you know about Pilates. Think more along the lines of a very tough weights session, resistance training, an intense core workout and stretching all rolled into one. Throw in the fact that it is all done under the watchful eye of what is effectively your very own personal trainer and you start to get an idea of just how good Pilates Plus is. An awesome workout, just give it a go and you will be hooked.